Last year began with a bit of bad weather but once the sun came out I started to cover some mileage. I traveled to some new places and revisited others I had already seen. I moved, enjoying the light of Cadiz in winter and spring in California, where the culture and tradition of the longboard are still alive. 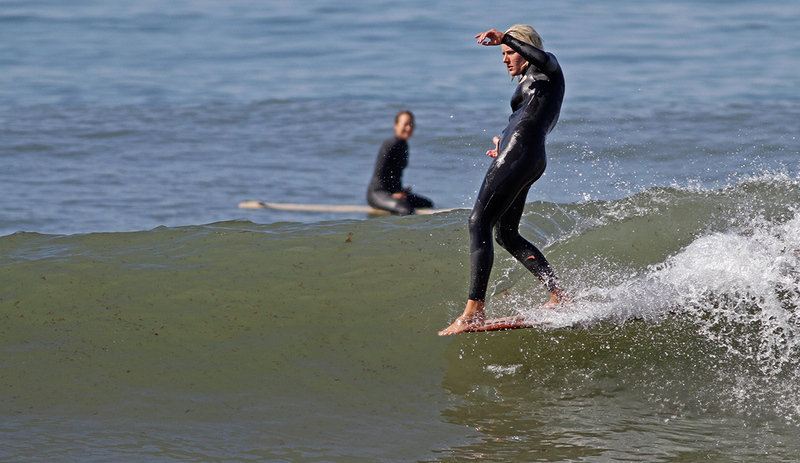 Along the way, I found myself taking photos of women surfing — capturing many of them as they cross stepped their way to the nose on each wave. I have a passion for the classic longboard myself, so focusing on noseriding was natural; read the wave, sometimes take small steps, sometimes take big steps. But it’s always done with style and flow. Find more from photographer Laura Bañuelos on Instagram.